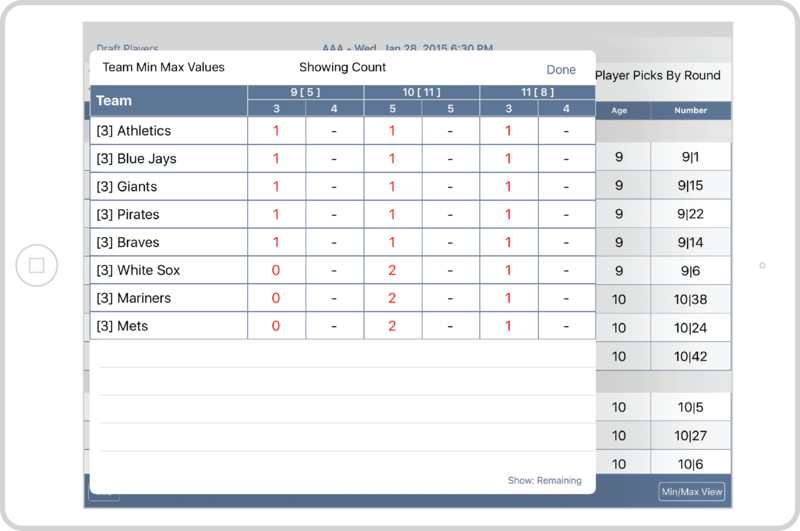 Big Time Coach Baseball League Draft brings you over 30 years of baseball league management experience right to your iPad. 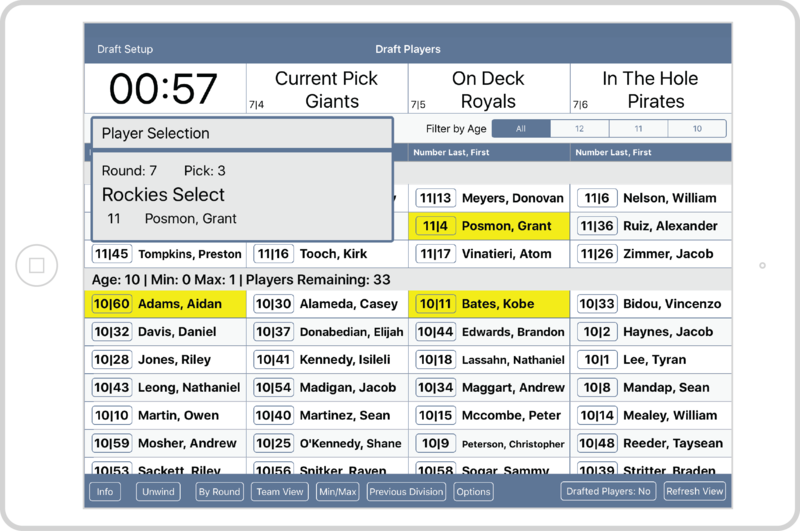 This season move way from spread sheets, black boards, or other draft tools and processes, and move into a more streamlined process. 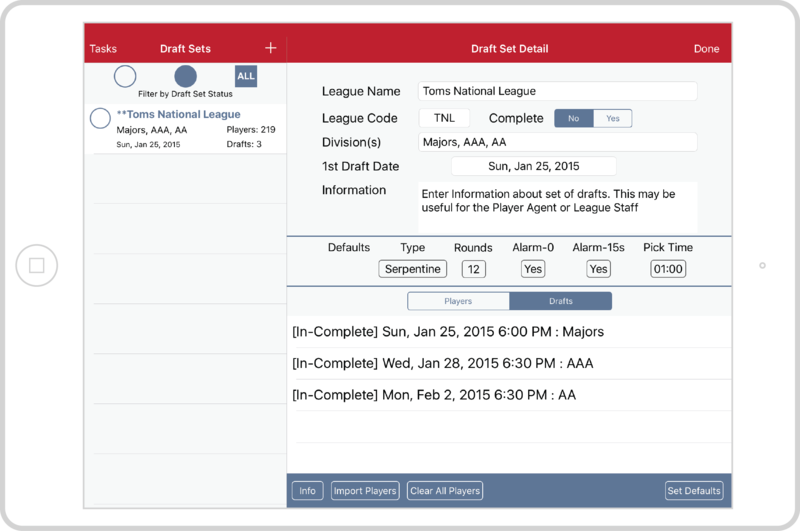 With this app We have developed another easy to use tool that this time is aimed to help League Staff, Player Agents, and other league staff by putting all the draft necessities into a single efficient app. 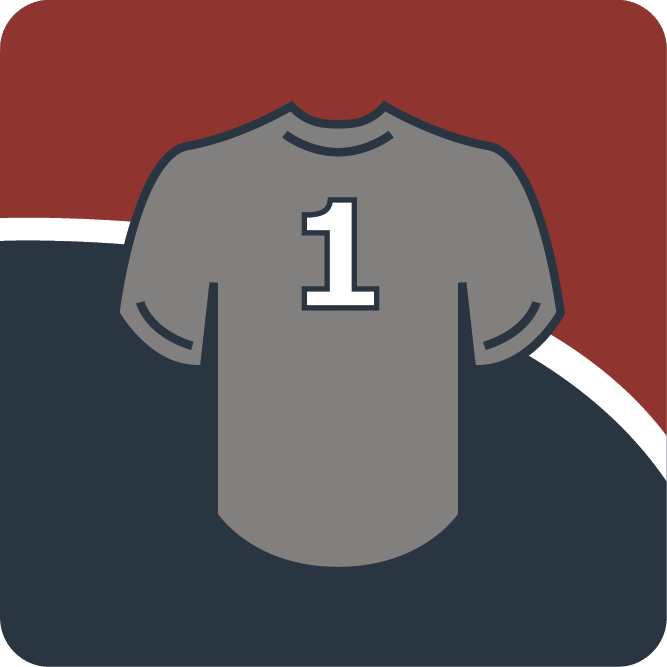 League officials will save hours of work, and the coaches who participate in the draft will have much more fun in the process. 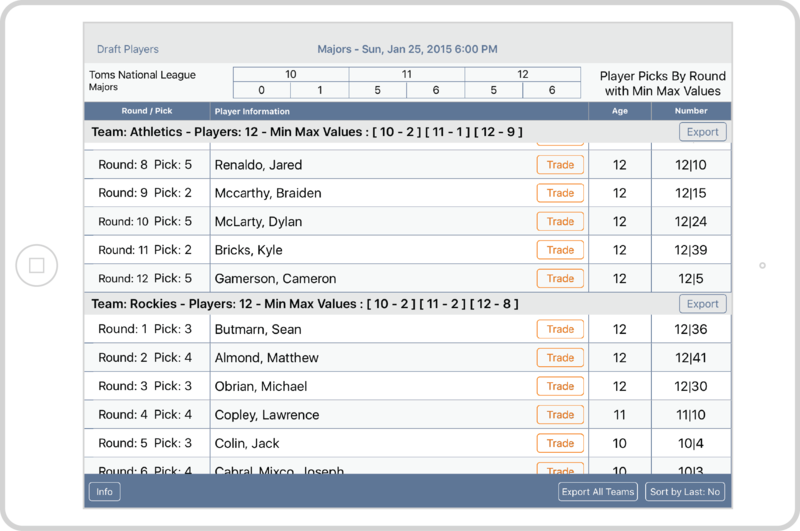 The League Draft Features will allow you to conduct a live draft for you league with the ability to control the draft by setting up 'Brother Options', tracking previous divisons of play, and even applying Min/Max levels on an age by age basis. 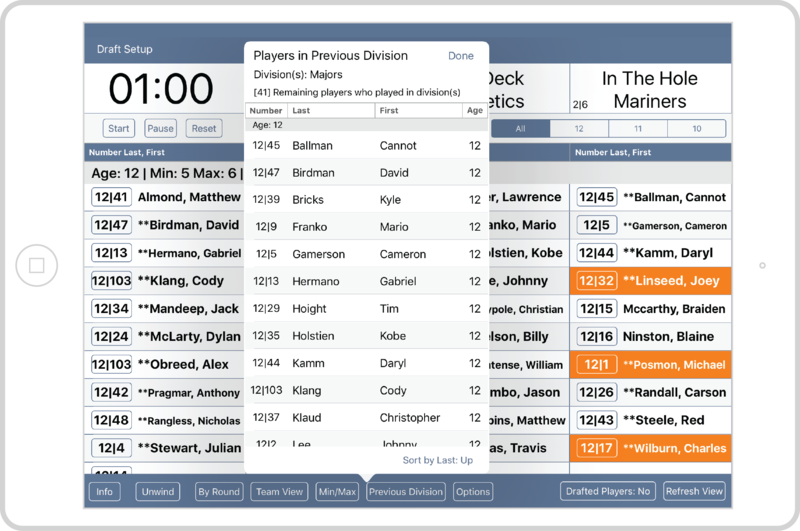 No more tracking picks on a chalk or white board, and keeping manual track of which team made which pick. Challenging situations like unwinding to fix problems are a simple touch of a button away. Then resume the draft from the unwind point. When the draft is complete, export teams and send the rosters directly to the coaches. Tracking of Previous Divisions to ensure players do not fall through to lower divisions.